NAS4Free is a project that provides a great web front end for a FreeBSD ZFS based storage server. 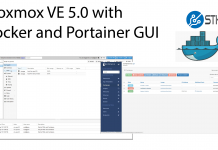 As a derivative of the original FreeNAS codebase, it has significant functionality that is easily accessible even to a novice user. For many contemplating ZFS, the prospect of installing solutions can be a significant barrier to entry. NAS4Free is one of the easier projects to get started with for novice users. We actually have used NAS4Free in a number of systems and it is a great project. Today we are going to demonstrate how easy it is to install on a basic system. The USB drive was significantly too large for this project, but we had it on hand so it was used. Likewise with the cache drives. They are not part of the 20-30TB of disks on the lab’s shelf. The great part is that this server was put together using spare parts in the lab. The first step is to either download the LiveCD from the NAS4Free site/ sourceforge. We were able to mount using the ASRock IPMI interface and so there was no burning of a CD, making a bootable USB. Just select the image once downloaded and let it run. At this point, you will want to select option 9.to install from the LiveCD. Once this is done, one will go to the Install & Upgrade Options Menu. 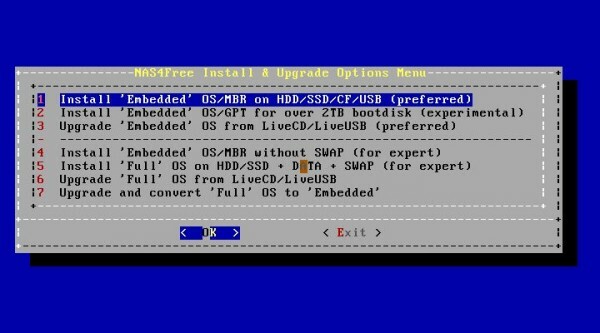 It is recommended that you use a USB drive to install the OS since it does not take up a valuable SATA/ SAS port. If you do use a USB stick, a tip is to use the Embedded installation. This install method limits the writes done to the USB stick, and therefore does not wear out the USB sitck’s NAND which tends to be of lower quality. The installer is good, so let it work. As one can see, we are using the virtual CDROM that is part of the KVM over IP solution provided by ASRock for this guide. Now it is time to install to choose the installation media. Here, you want to use the USB drive which one can see is our SanDisk drive. Again, 16GB is too big for this type of application, but it is what we had on hand. After that screen, click OK and wait for the installer to prompt you to restart. Remove the installation media and reboot the system. One will see that the OS is installed and booting from the USB stick. After a few more seconds, the console will display the default IP address. From here, one can go to the web interface and begin configuring NAS4free. And the web interface is fairly mature so most tasks can be completed easily using a browser post-installation. Overall the process should take you about 5 minutes. It is certainly one of the more straightforward NAS software installations out there today. There are many users turned off by command line installers. 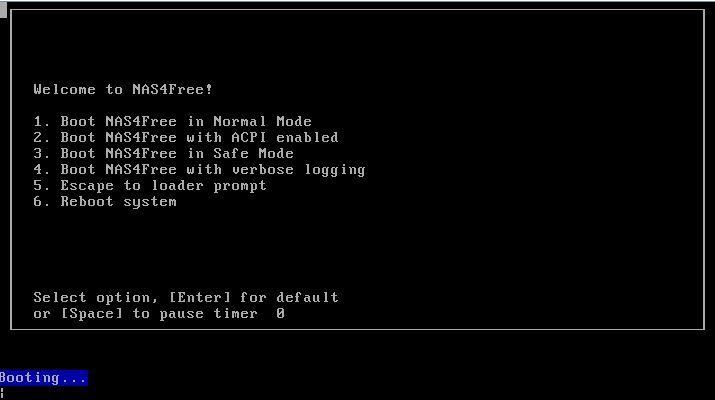 NAS4Free is one of the more straightforward installations since one can use the default values for most of the prompts. Hopefully this short article will demonstrate that the installation is extremely simple to accomplish. 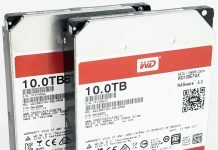 How would you compare the reliability of this storage appliance over say, Nappit? So to the million dollar question (I actually really want to hear your take on this Patrick). FreeNas or Nas4Free? Please correct above, NAS4Free isn’t a fork! I prefer nas4free, had 0.7 version running for several years without reboot, then upgraded to 9.1 also without issue. Currently I am staying on 9.2 because they enabled mellanox 10gb ethernet driver upon my request, although there seems to be some bug in em driver. even though they say it is not a fork, directly after they state it is… a bit confusing.